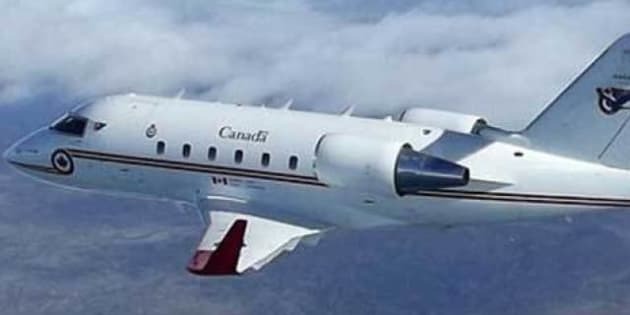 The majority of flights on the government-owned Challenger jets in the month of June were taken by defence officials who could have used commercial aircraft, according to documents obtained by CBC News. The six Challenger jets logged 165 hours in June at a cost to taxpayers of almost $2 million, according to flight logs obtained by CBC News. Prime Minister Stephen Harper and Gov. Gen. David Johnston are required to travel on the jets for security reasons. But other government officials, who do not need the extra security, took 60 per cent of the flights, according to flight logs. - A general, his wife and three other officers flew to Brazil for six days at a cost of $335,000. - Defence Department personnel and their families got sightseeing trips around Ottawa at a cost of $12,000. - Eight lower-ranking officers and a civilian flew across the country for an air show at a cost of $120,000. - A general, two officers and a female civilian flew to Jamaica for 24 hours at a cost of $96,000. The issue of the use of the Challenger emerged following reports that Gen. Walt Natynczyk, chief of the defence staff, had taken the government's jets to events including hockey and football games, and to join his family on a cruise starting in St. Maarten, a Caribbean island. Natynczyk has defended his use, saying he travels with up to six or seven people, sometimes including a close protection team with automatic weapons. He also said he needs the secure communication lines provided on government aircraft that allow him to work while he's in the air. According to the logs, Natynczyk and Defence Minister Peter MacKay both flew on separate jets to Trenton, Ont., leaving and landing only minutes apart, for the repatriation of a Canadian soldier. The Governor General arrived from Newfoundland on a third jet. The total cost that day was $45,000 and it was the only time in the month that three of the six jets were in use at once. National Defence figures put the cost of operating the jets at $10,806 per flying hour in 2011-12, much more than the cost of most commercial flights. But Lt.-Col. Norbert Cyr, a spokesman for Natynczyk, said last week that those costs also include things like the pilots' salaries. He notes they would be paid their annual salary whether or not they were flying, and pegged the actual flying cost at $2,630 an hour. The auditor general estimates the cost of flying the jets at $12,000 an hour. However, Canada's $33 million a year fleet actually spends 70 per cent of its time in the hangar. Asked whether the government was planning to cut the jet fleet, the defence minister's office said in a statement that it wasn't ruling out anything as the government moves to balance its books.